Disgraced YouTuber Logan Paul is officially back vlogging with his first video showing he is back to his normal self. 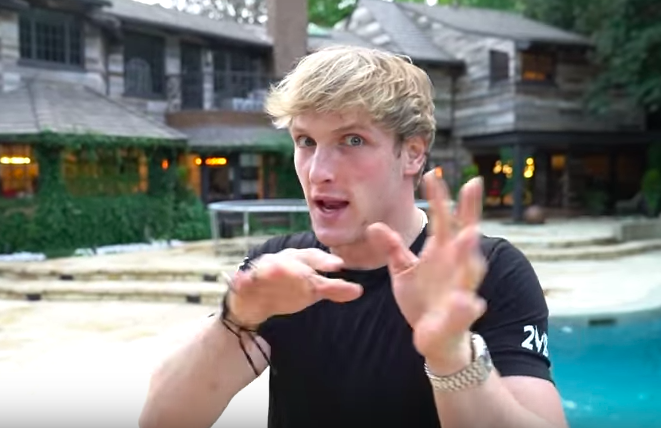 The disgraced YouTube star took a break from vlogging about his daily life when he received a significant backlash against his video showing the body of an apparent suicide victim in a Japanese forest. He returned to the platform on January 24 with a mini-documentary entitled Suicide: Be Here Tomorrow which included links to suicide prevention hotlines and appeared to show Logan’s eagerness to raise awareness. 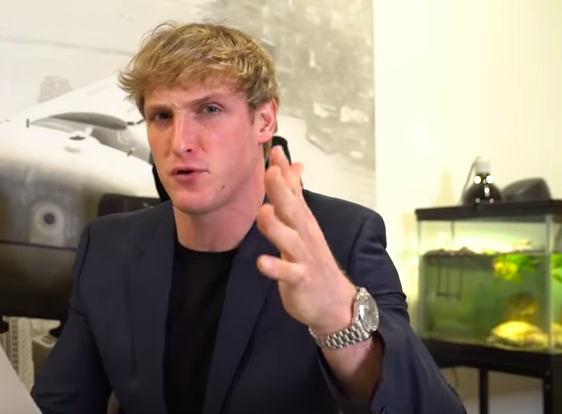 The video received a mixed reaction online as people questioned how genuine the video was, the internet waited for Logan to return to vlogging which would reveal whether he has changed at all. Of course the answer to this was no as Logan appears not to have learnt a single lesson. His first proper vlog since taking a break from both YouTube and social media was posted last night only a few hours after the Super Bowl. Deciding not to take a more appropriately sensitive approach, Logan’s video sees him brag about the number of subscribers he has gained during his social media blackout and the hundreds of thousands of comments he has been getting on his Instagram posts claiming although many come from ‘haters’ it is still ‘engagement’. To say Paul misses the point of the backlash and controversy would be an understatement as he relentlessly promotes his merchandise, asking people to buy it because YouTube cut his earnings on videos in half and he needs the money to keep his mansion. He also joked about being hit with a $4 million lawsuit, being described as ‘disgraced’ and even made light of the petition that calls for him to be banned from YouTube by signing it himself. People on social media were certainly not impressed with Logan’s comeback vlog with many calling it ‘disgusting’ and ’embarrassing’. Logan Paul’s come back video is the most disrespectful thing I’ve ever seen. Opening sequence shows how absolutely NOT genuine he was about the apology or the break. Along with then proceeding to blame YouTube for cutting his money for HIS mistakes. He and his gang are trash. Logan Paul needs to leave the Internet. 1. He just joked about tide pods being more tasty. 2. He bragged by saying he hit a million views after not posting for 3 weeks. 3. He joked/shaded YouTube about cutting his add support. 4. He kept trying to prove he’s the victim. Logan Paul’s ‘comeback’ video shows that he learned absolutely nothing. Promoting his merchandise while throwing shade at YouTube because his consequence was cutting his ad profit in half, and geeking that he gained subscribers shows that all he really cares about is money and numbers. logan paul’s “comeback” video shows that he learned absolutely nothing. promoting his merch while throwing shade at youtube bc his consequence was cutting his ad profit in half, and geeking that he gained subscribers shows that all he really cares about is money and numbers. Closing the video with a promise he will not be leaving YouTube, it looks like Logan will go back to being the vlogger he has always been. Hate him or love him, it is clear that nothing has changed.